Monstrologists in the Spiral have probably figured out by now that we can’t complete every section of the Monstrology Tome, and hopefully this will help in fixing that. I listed every single bug I ran into and also other ideas that could help improve each section of the tome. Please, don’t hesitate one bit to post your ideas and/or findings in the comments below in a respectful and constructive manner. I already posted a similar list in the Wizard101 Message Boards – Test Realm Section, but I wanted input from more wizards! This list is composed of both bugs that are already in live realm and those found new on test realm. Additionally, you’ll be pleased to know that most bugs reported here were already fixed! Stomper in Briskbreeze Tower is a Colossus but is not included. Rattlebones from Unicorn Way is incorrectly listed under Dungeons. Feckless Soul, Benighted Revenant, Burned Out Soul and Spirit of Ignorance should be listed under this section and not Dungeons. Kindly make sure none of these creatures are included as they are non-repeatable: Cap’n Nigel Skullcrack, Haul Away Joe,Old Maui, and Lord Ague. Maiden of Hate (Rank 4) description states that they haunt the Master Tower, but are actually in the Adept Tower. Tomb Lurker in Karanahn Barracks is a Spider but doesn’t give animus. Desert Golem in Palace of Fire is a Colossus but doesn’t give animus. Typhon Dustwind’s description doesn’t end with a “.”. Special Branch creatures (x2) have been added in monstrology but have no tome entry displayed and should be non-repeatable due to daily assignment quest. Creatures that are possibly added in duplicate: Jade Oni, Death Oni, Plague Oni and War Oni. Sharpshard Warrior preview in the tome looks small along with many other graphically enhanced Colossi. Blackblade in the Tower Archives is not repeatable but is included for monstrology. Blackrock Guardian in Plaza of Conquests is not repeatable. Pirate Ravager’s description should say “plunderin’” but is misspelled as “pluderin’”. Shadow Web Wraith and Shadow Web Haunt are not included in monstrology but could be registering in the missing total. They look undead and their names suggest so. Aksil Blacktrunk doesn’t spawn again unless you have the quest. Idris Beast Taker is a non-repeatable boss. Jabberwock’s description doesn’t end with a “.”. Some of these non-repeatable creatures might be counting towards monstrology: Tlotzin Moon Thief, Huemac Spear Wreath, Tezomoc Stone Singer and Deathless Storm Horn. Azcal Fire Ant’s description should say “Their” but is misspelled as “They’re”. Archmagus Lorcan’s Elder Magus minions don’t drops animus. However, this is only an issue for the Elder Magus summoned by him. Others found already summoned throughout the Hive do actually give animus. Skinner Conscript in Radiance Reborn is not repeatable. Seijun Killer is now missing from the tome. Tree Root (Death Elite) should say “A minion of Moros.” but is misspelled as “A minion or Moros” (and also didn’t end with a “.”). Tree Root (Life Elite) description doesn’t end with a “.”. The Seijun Killer pig minion that is summoned by Mimic in Aggrobah remains not included to monstrology. None of the 4 Belloq Images (Fire, Ice, Storm and Myth) are registering in the monstrology tome, but they drop animus. Beets creature from Beastman Fight Club is not included for monstrology. Poison Oak in Sepidious is not included for monstrology. Grisletusk is a non repeatable creature. It might be included anyway. The Tall Wall colossus creature in the Grand Tourney gauntlet is not included for monstrology in any tier (1-5). Kumo Oni spider creature in the Midnight Sun Pagoda gauntlet is not included for monstrology in any tier (1-5). Spellwrit Stalker from Krokotopia is not added to monstrology. Creatures from one of the Tanglewood Terror tiers are missing from the monstrology tome, but they are still available to be obtained in game. A fifth version of the Forest Nymph minion creature might be introduced but is not included in game. Zoramei Helephant and Conscripted Mander don’t exist in their tier 1 version in game. Kindly make sure they are not included to monstrology or are instead introduced to the game. Hitojini Deathcaster Tier 4 & 5 have the same descriptions. Woebegone Wraith, Lorcan Initiate, Jaxon Lastrites, Furious Howler, Wildfire Treant (x5 different versions), Broken Land Mammoth, Sundered Seam Mammoth, Medicine Mode, Dead Rover, Zhalar Starcloud, Celestian Partisan, Celestian Defender, Darajani Guard, Vengeful Creeper, Shadow-Web Soldier, Unholy Wraith, Fire Demon. Reference is made to the following post. If aware of any other monstrology bugs, please post a comment down below. There is one boss that is non-repeatable boss from Azteca. And that is Tlotzin Moon Theif (Myth rank 13), from the Ice Quest level 88. This creature is a Raptor and undead classification. It is nice to have confirmation, kind of hard to tell what non-repeatable bosses they have in there still. The Rattlebones one was fixed yesterday. Typhon Dustwind – Krokotopia: Doesn’t end with a .
Jabberwock – Avalon: Doesn’t end with a . 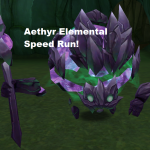 Tree Root (Life Elite) – Khrysalis: Doesn’t end with a . Added your list to mine, but are you sure the Hebitoho Wyrmlings have the same descriptions? Perhaps it is a change that happened on test? Because if you look in the Dungeons list on the site they all have different ones. Thanks for adding my observations, hopefully they can be fixed! My bad! I misread that and thought you were referring to creature tier 1 to 5. Yes, they do have the same descriptions. Has Fear of Gremlins been removed? It was extractable, and I vaguely remember a dev/KI employee saying that this was because more Grendels/Gremlins were going to be extractable with Extract Imp, and that Fear of Gremlins wasn’t a mistake, so I wonder if they’ve added more, or if they’ve removed Fear of Gremlin’s animus entirely. 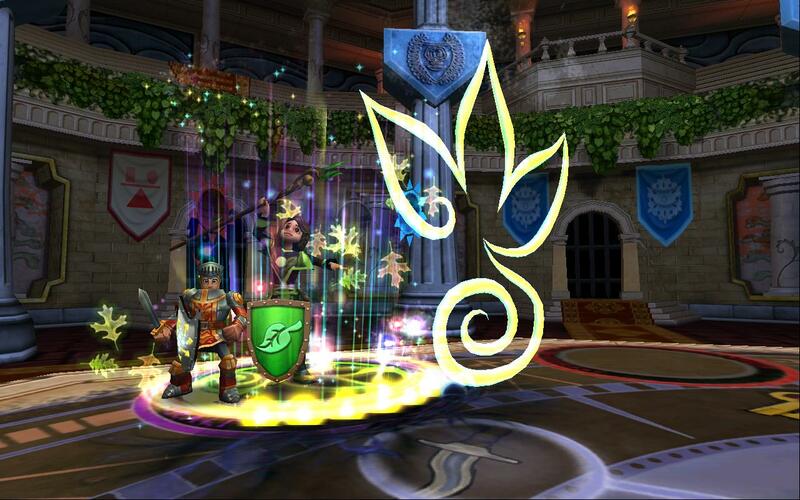 Fear of Gremlins was sadly removed in test realm which is a very great pity due to the impressiveness of the creature. Another creature that was eliminated is Carrion Flower Man in Zafaria due to it not spawning when there aren’t more than 2 people in the dungeon. I kinda disagree, but their decision and I respect that. Ah, that’s a shame. But at least they’ve made it consistent now, even if it meant removing a creature. 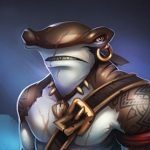 Do you have a list of which monsters were removed from the Tome for the April 2019 Test Realm? So far, I only noticed the Carrion Flower Man and the Fear of Gremlins. There are also a set of creatures from one of the tiers of the Tanglewood Terror that has disappeared. If you meant the non repeatable creatures they said they removed, I have no way of tracking them, sadly. I’m hoping they will add Extract Grendel in an update. It does make a lot of sense to introduce Grendels as Imps due to the nature of the creature, but it might take a lot of work to include monstrology tome entries for all those Grendels that it might as well be an extract of its own.